The booking of the treatment or event is only reserved once the client has paid the non-refundable deposit of £100 of the final amount to the makeup artist. Arranging a trial does not reserve the makeup artist’s services for the treatment or the event unless the booking has been confirmed. Payments can be made via bank transfer. The non-refundable deposit of £100 paid by the client will be deducted from final balance due. The trial must be paid either prior or cash on the date of the trial. The final balance is to be paid in full by the client 1 calendar before the treatment or event. Failure to pay the fee within the stated time may result in the wedding date being released. For weddings, if you have a larger bridal party and it occurs that one make-up artist is unable to ensure the bridal party is ready on time then Amrie can bring along an experienced team to assist. There will be a small charge to cover this, prices can be advised once the requirements have been discussed. Destination wedding surcharges will be discussed at time of booking. The total cost includes travel 10 miles of postcode SA70, but excludes tolls, congestion charge or parking costs. Travel further then 10 miles shall be charged at £1 per mile and the client will cover any other necessary travel expenses of the makeup artist as agreed at time of booking. For weddings, trials are highly recommended but are not compulsory. Trials are completed at the Amrie’s Studio unless otherwise arranged – travel prices then may apply. Unfortunately, trials cannot be booked during a weekend due to high demand however can be accommodate either daytime or evening appointments Wednesday, Thursday and Friday. A consultation form must be completed before any treatments. The client shall inform the make-up artist of any issues that may affect the use of any equipment or products. This includes but is not limited to sensitivities, allergies and medical conditions. The makeup artist cannot be held liable for any losses that are incurred due to the client’s failure to inform them of any know condition. The make-up artist reserves the right to refuse service to the client or members the party for, but not limited to, infectious conditions / abusive and threatening behaviour. The client at any point in writing can cancel the treatment. The make-up artist will be under no obligation to refund any money paid up until point of cancellation, however the client will not be liable for any further payments. The client can cancel a trial at any point however a trial cancelled with less than 48 hours’ notice will be charged for at the agreed rate. Cancellations made by the make-up artist due to circumstances including, but not limited to, problems rendering the makeup artists performance of their obligations where no other suitable alternative can be offered, a full refund will be given to the client. No further compensation will be offered. If the booking is directly affected by circumstance beyond the control of the makeup artist where possible the makeup artist will endeavour to rectify such situations however no compensation will be offered on the makeup artist part. It is strongly advised you take out wedding insurance to cover you against these situations. The client agrees that the makeup artist may use any photography for publicity purposes which include but are not limited to the makeup artists website and social media pages. This includes photos taken by Amrie (possibly before and after photos) and photos taken by your professional photographer. Amrie Luxury Makeup and Beauty Specialist liability shall not exceed the charges paid under this booking agreement. 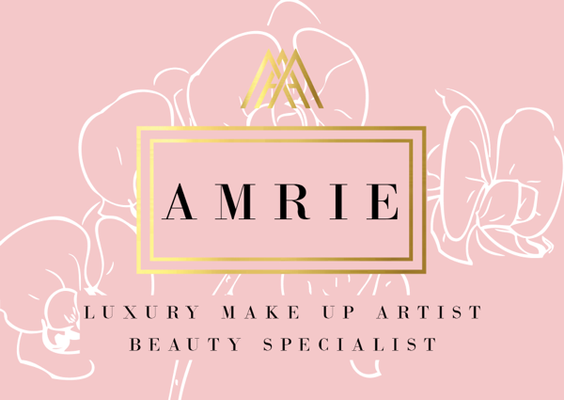 Amrie Luxury Makeup and Beauty Specialist shall have no liability for any third-party (product/service) whatsoever regardless of cause, even if it has been recommended. By financially securing your deposit you accept these terms and conditions.